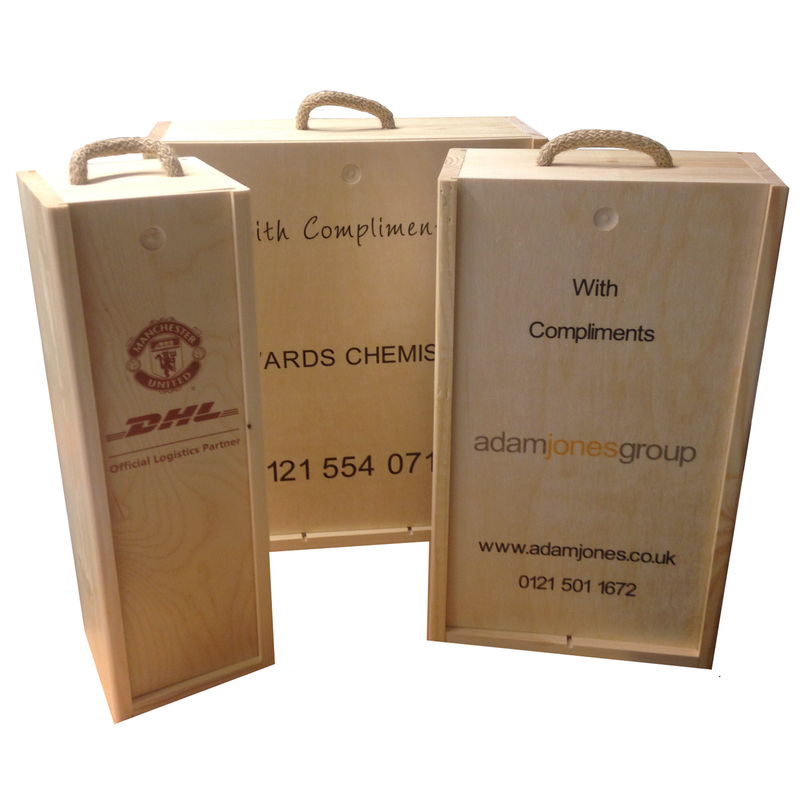 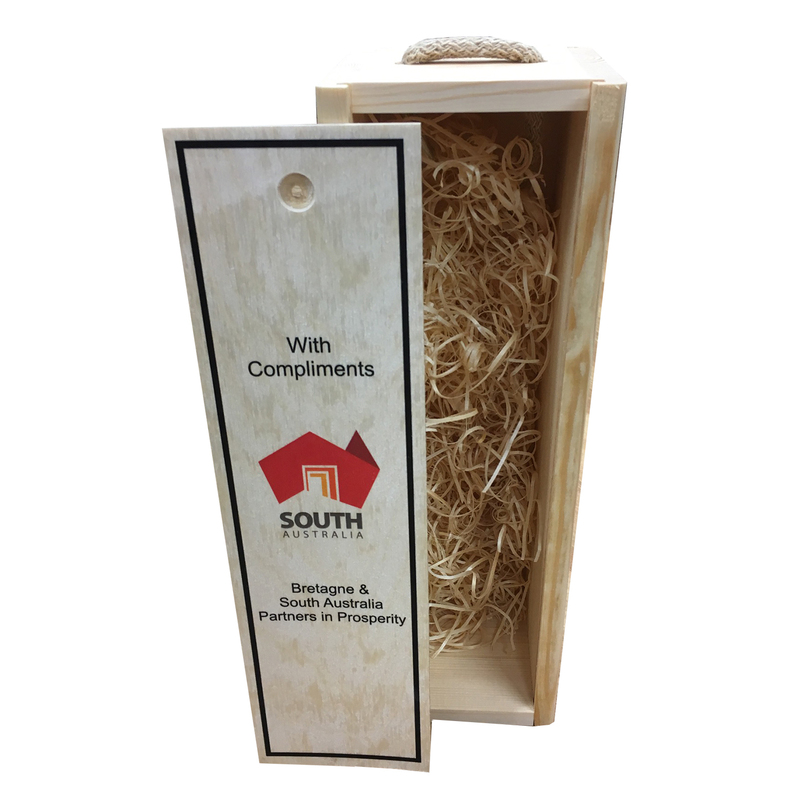 Personalised wine boxes make a great gift box to advertise your company brand! 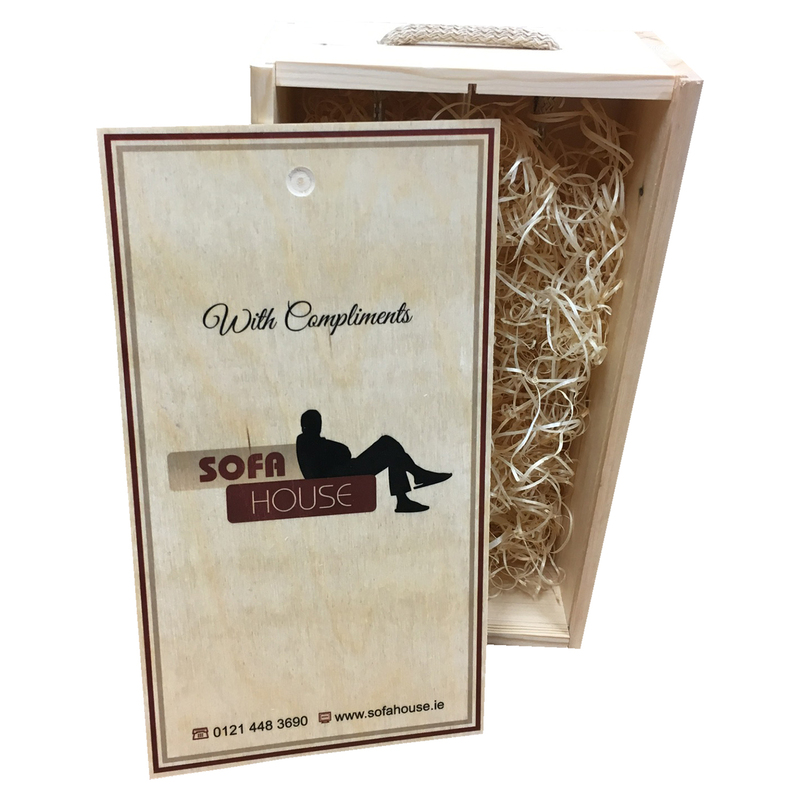 A corporate gift that advertises your brand! 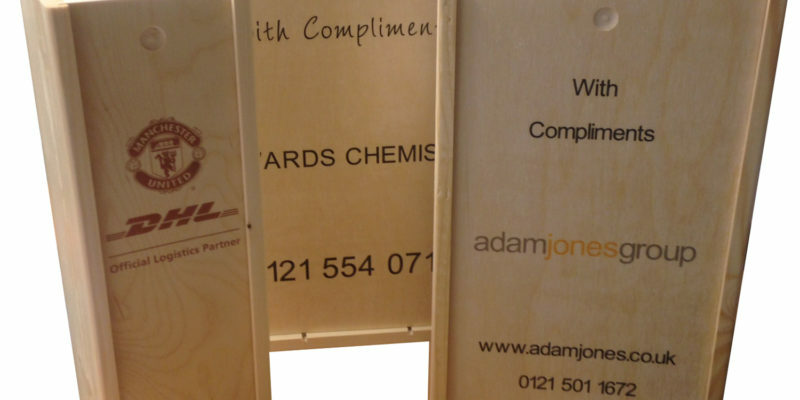 Personalised wine boxes are the perfect way to promote your company name. 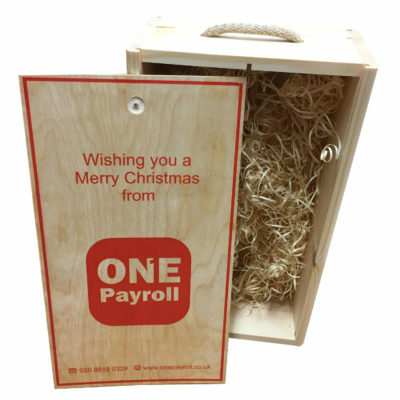 They make an ideal gift for your valued customers and employees alike. 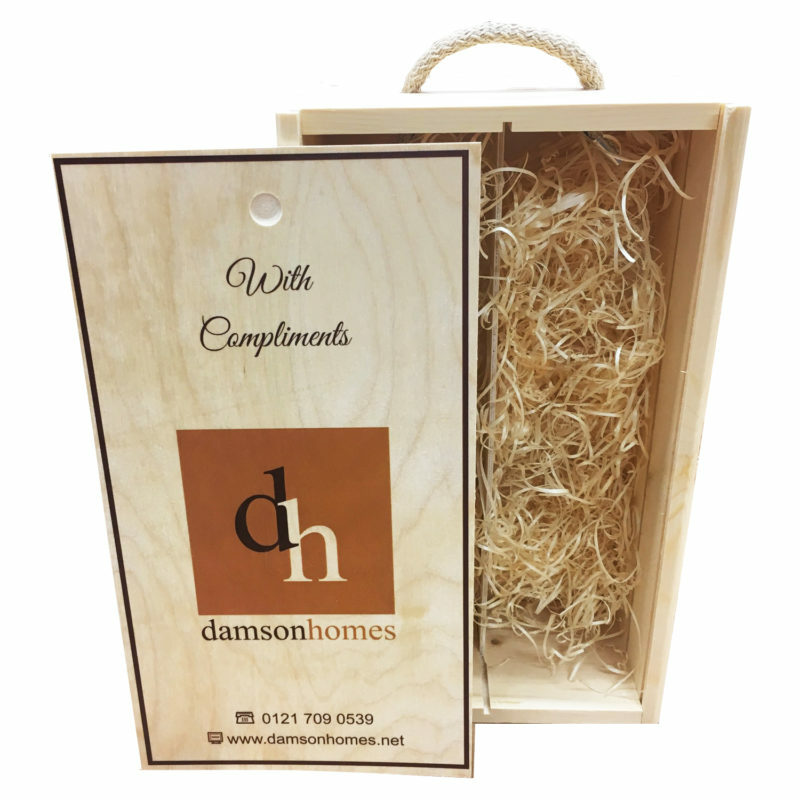 These gift boxes can be printed with an unlimited amount of colours at very reasonable prices. 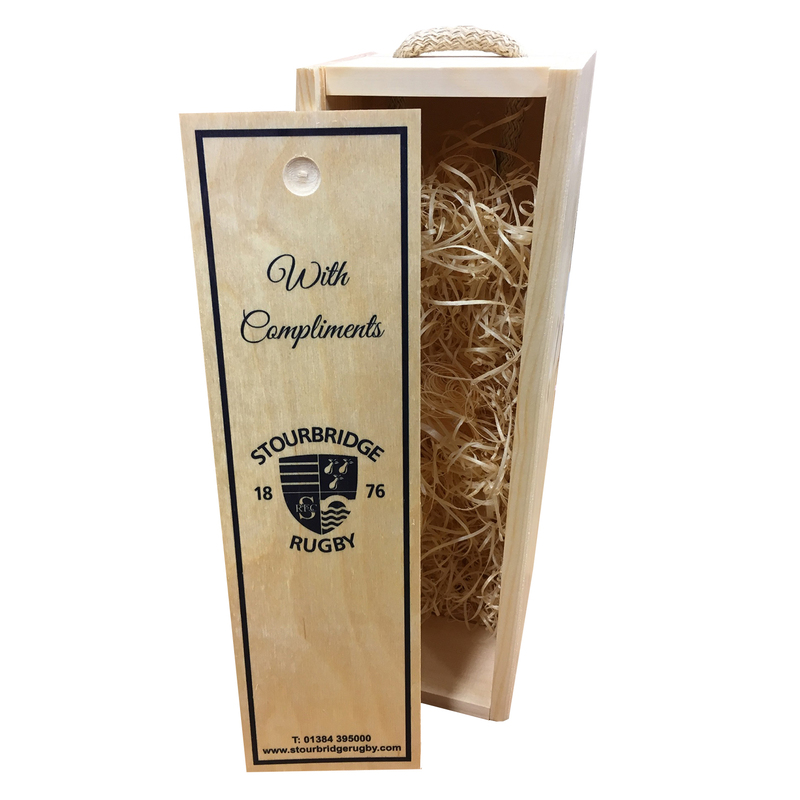 Boxes are available in 1, 2 or 3 bottle sizes, all finished to a high standard, natural rope handle and sliding lid. 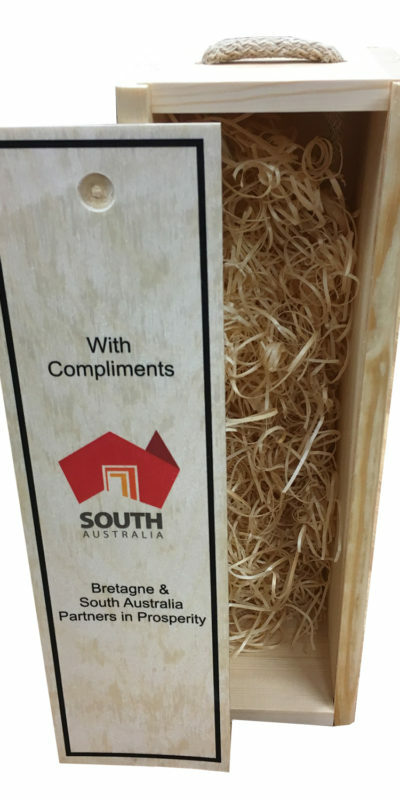 These wooden boxes are supplied with the finishing touches and come prepacked with the finest wood wool to aid the presentation of your own 750ml bottle of wine, champagne or spirit. 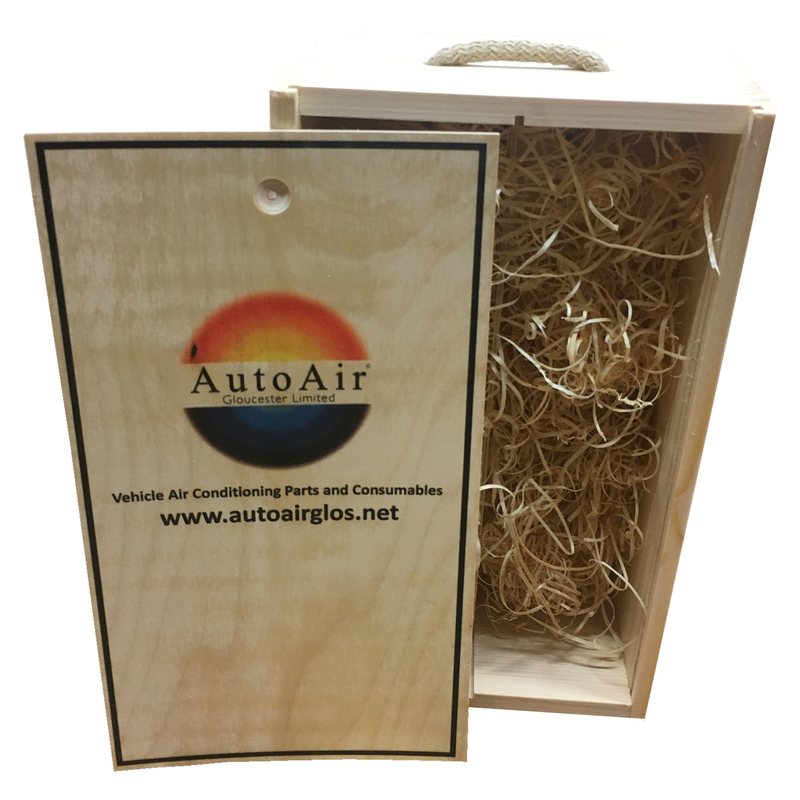 In addition to the 1, 2 and 3 bottle boxes we are able to produce custom boxes to almost any specification dependent upon minimum order quantities. 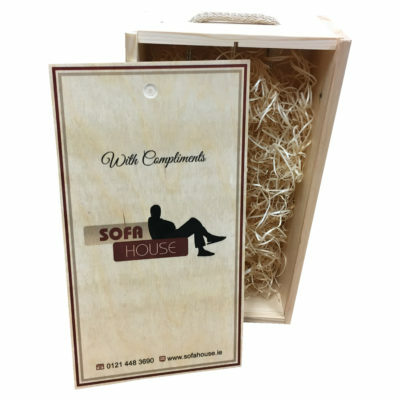 Delivery charges are applicable and prices will be supplied on enquiry to keep the prices as accurate as possible.